Phillip Kersey finds himself and his hotheaded girlfriend, Stephanie, at a crossroads. He's the singer of the chart-topping rock band, Fury, and they're forever in the studio laying down tracks for their third album. Steph's photography career has exploded. She's always on location and out of his grasp. Tired of Skype dates and stolen weekends, Phillip makes plans to whisk her off to Ireland so he can pop the question. When Steph returns to the U.K. for the birth of their friends' baby, Phillip finally gets his chance. He's down on one knee when tragedy strikes. Aching hearts cause tempers to flair chaotically out of control. Phillip feels pushed aside and vanishes. Assumptions and accusations follow, and the public fallout between them becomes the stuff of legend. 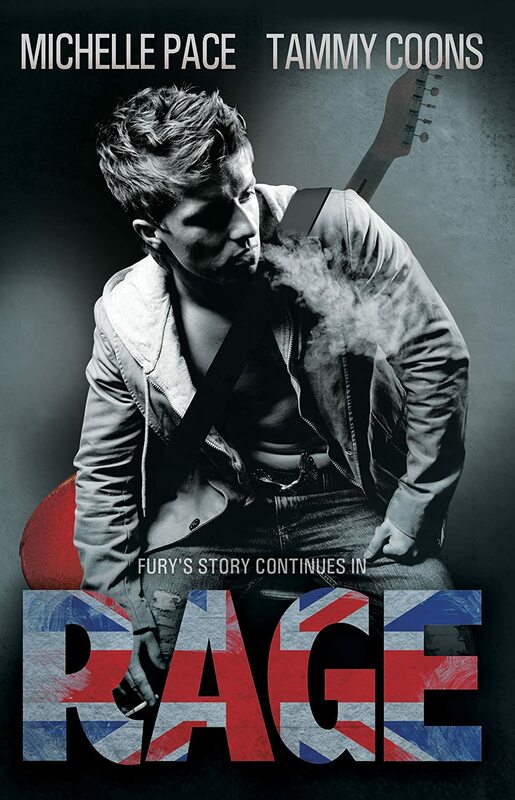 Rage is the second book in the Sound Waves Series and while it can be enjoyed without reading, Fury, I would recommend reading Fury first just to have a little more understanding of the characters before jumping into Rage! With that said, I hadn't read Fury first, but still enjoyed Rage. This book is full of hurt, passion, misunderstanding, miscommunication, and a whole lot of love. Steph has made a few bad choices when it comes to her love life, but then again Phillip is no angel and Steph will make sure to let him know it. Steph and Phillip are combustable. There is so much depth to the two of them that it really made Rage a stellar read. The drama and passion combined just made each page sizzle and I had to flip to the next in a hurry to see what was going to happen next. A worthy read for fans of rock stars and lots of drama within a story.